You are going to Watch RWBY Volume 1 Episode 1 online free episodes with HQ / high quality. 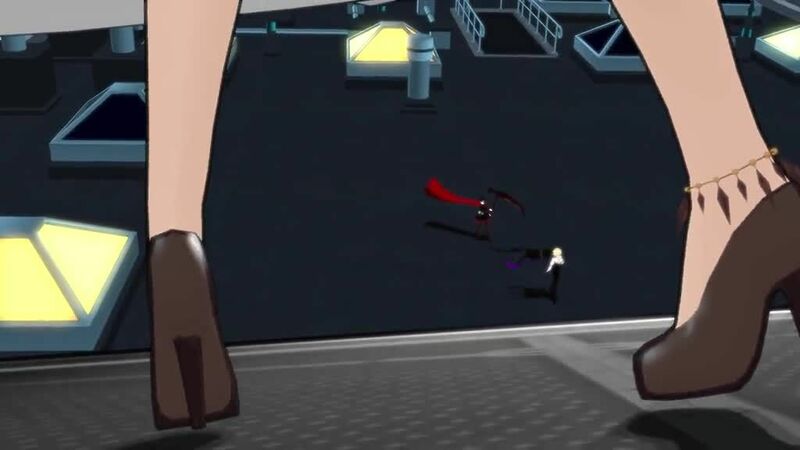 Stream cartoons RWBY Episode 1 Online In the prologue, the narrator explains how humans originated into this world, and began a battle against the creatures known as the Grimm. Humans eventually discovered a power called “Dust” and used it to repel the Grimm and build civilization, but the narrator warns that this time of peace may be coming to an end. Cutting to the present day, Ruby is in a Dust shop when a group of men, led by Roman Torchwick, attempt to rob it. Upon noticing them, she fights and defeats every member of the group except for Torchwick, who heads to the roof of a building to flee in an airship. He launches an attack at Ruby after getting on board, but a blonde woman arrives to protect her. A woman on the airship then begins attacking, allowing the airship to escape. Ruby is later scolded by the blonde woman, a Huntress named Glynda Goodwitch. Glynda reluctantly introduces Ruby to Professor Ozpin of Beacon Academy. When Ruby muses to him about her aspiration to also become a Huntress, he accepts her to Beacon Academy, even though Ruby is two years younger than the other incoming Beacon students. In the final scene, Ruby joins her sister Yang on an airship in transit to their new school.